CELEBRATE THE WINTER SOLSTICE UNDER A FULL MOON ON THE KARL STIRNER ARTS TRAIL. 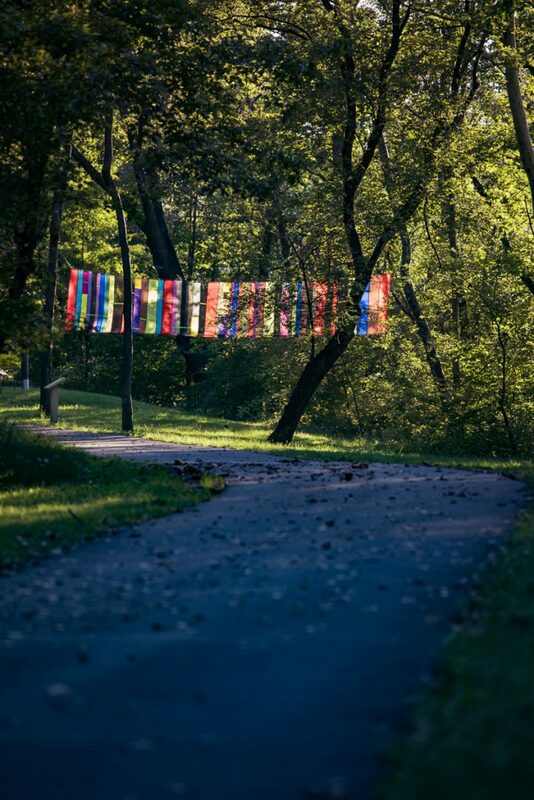 Join your friends on Friday, December 21st at 5pm in the 13th Street Parking Lot at the entrance of the KARL STIRNER ARTS TRAIL for a moonlight stroll, a few winter songs to take the chill off, and a candlelight celebration of Rachel Hayes’s vibrant and colorful banners. The evening festivities, “Cold Moon, Warm Colors, Still Hearts” begins immediately at 5:23pm when the solstice arrives after walking a short distance down the trail. After a few seasonal songs and readings, we are all invited for complimentary hot chocolate at Tucker in the Silk Mill, where people can then begin or conclude their holiday shopping.